Finding ETFs to buy among the universe of equity-based products can be a trying endeavor, particularly with the universe of non-cap-weighted, smart beta funds rapidly expanding. However, the largest ETFs in the U.S. remain cap-weighted funds, including cheap funds tracking the S&P 500. Using the SPDR S&P 500 ETF (NYSEARCA:SPY), the world’s largest ETF, as the benchmark, investors see that fund is up 9.3% year-to-date as of Sept. 12. Data suggest that many large-cap alternatives to the S&P 500, including alternatively weighted funds, are having difficulty beating the U.S. benchmark this year. What follows are some of this year’s best ETFs, as in those funds that are beating the S&P 500 or another major benchmark relevant to the market segment being examined. The Buzz US Sentiment Leaders ETF (NYSEARCA:BUZ) is earning its stripes as an ETF to buy alpha-seeking investors. Due to the ETF’s heavy technology and internet exposure, measuring BUZ against the Nasdaq-100 Index as well as the S&P 500 is appropriate. Up 19.70% year-to-date, BUZ is beating both of those widely followed benchmarks. BUZ is one of the best ETFs for investors looking to gauge social media sentiment without engaging in that cumbersome task themselves. The fund’s underlying index measures “the influence within the social media community of those individuals who are discussing each stock and their historical accuracy,” according to ALPS. BUZ allocates about 71% of its combined weight to technology and consumer discretionary stocks, giving the fund a growth feel. Even with those sector allocations, BUZ has a price-to-earnings ratio of less than 19, which is mostly inline with broader U.S. benchmarks. The American Customer Satisfaction ETF (CBOE:ACSI) proves there can be a correlation between happy customers and happy investors as this fund is beating the S&P 500 by roughly 100 basis points this year. ACSI, which turns two years old on Nov. 1, targets the American Customer Satisfaction Investable Index. Making ACSI one of the best ETFs this year is FAANG exposure. Four of the five FAANG stocks, excluding Facebook Inc (NASDAQ:FB), are among ACSI’s top 10 holdings. Speaking of FAANG stocks and ETFs to buy, there is the Consumer Discretionary Select Sector SPDR (NYSEARCA:XLY), the largest consumer discretionary ETF by assets. XLY is one of this year’s best ETFs in terms of being a benchmark-beater. The consumer cyclical fund is up 19.2%, or more than double the returns offered by the S&P 500. Much of XLY’s performance, regardless of the time frame in question, is driven by Amazon (NASDAQ:AMZN). XLY allocates 25.11% of its weight to the e-commerce juggernaut, more than triple the weight this fund to buy assigns to its second-largest holding. That is a good thing in a year in which shares of Amazon are up more than 70%. 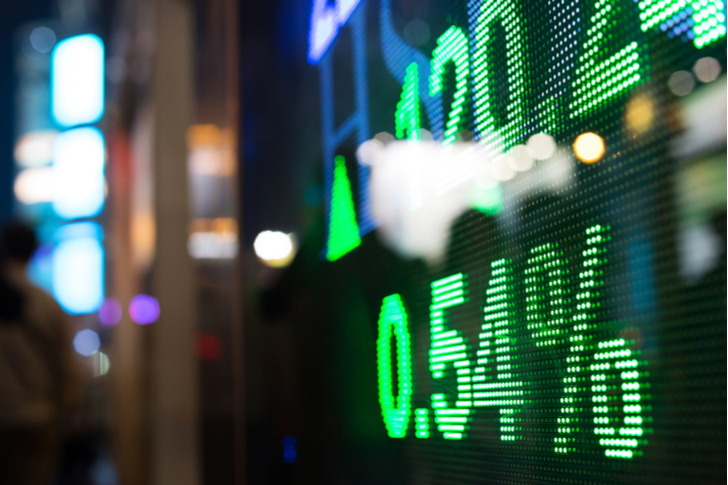 Israel is classified as a developed market, so the benchmark the VanEck Vectors Israel ETF (NYSEARCA:ISRA) should be measured against is the MSCI EAFE Index or a related index. The tale of the Israel tape illustrates why ISRA is one of this year’s best ex-US ETFs. Year-to-date, ISRA is up 10% while the MSCI EAFE Index is lower by 4.9%, as of this writing. Technology is a major driver of the U.S. economy and domestic equity markets, but that is even more so the case in Israel and ISRA reflects as much. ISRA’s technology weight of 36.20% is more than 1,000 basis points higher than the S&P 500 technology weight. In August, two-thirds of the components in ISRA’s underlying index “posted a positive performance, indicating a broadening of momentum throughout the Israeli market, as domestically-oriented Israeli companies joined their export-oriented peers, which have been rallying throughout 2018,” according to BlueStar Indexes. Whether it is measured against a biotech or broader healthcare index, the Invesco Dynamic Biotechnology & Genome ETF (NYSEARCA:PBE) is one of this year’s best ETFs. In fact, the 2018 returns of the S&P 500 Health Care Index and the Nasdaq Biotechnology Index would have to be combined to exceed the 23.20 returned by PBE. PBE is also one of the ETFs to buy for investors looking for an alternatively weighted biotechnology play. “The Intellidex Index (PBE’s underlying index) is designed to provide capital appreciation by thoroughly evaluating companies based on a variety of investment merit criteria, including price momentum, earnings momentum, quality, management action, and value,” according to Invesco. Another reason PBE is one this year’s best ETFs is exposure to smaller growth stocks. Two-thirds of the fund is devoted to mid- and small-cap growth names. Technology is the best-performing sector this year and the SPDR S&P Software & Services ETF (NYSEARCA:XSW) is easily one of the best ETFs offering exposure to the sector. Up 33.50% year-to-date, XWS is easily beating the S&P 500, Nasdaq-100 and diversified technology funds. XSW’s 127 holdings include companies from these industry groups: Application Software, Data Processing & Outsourced Services, Home Entertainment Software, IT Consulting & Other Services, and Systems Software. XSW’s momentum does not appear to be waning. This ETF to buy is up 6.66% over the past month and hit an all-time high on Sept. 13. XSW is an equal-weight ETF, so it tilts toward the software industry’s mid- and small-cap names. Qatar is one of the smallest country weights in the MSCI Emerging Markets Index, so the member of Organization of Petroleum Exporting Countries (OPEC) cannot on its own do much to dent the emerging markets benchmark’s nearly 5% year-to-date loss. However, the iShares MSCI Qatar ETF (NASDAQ:QAT) is one of this year’s best ETFs tracking a market outside the U.S. The lone U.S.-listed Qatar ETF is up 17.87% this year. Qatar’s economy and financial markets are thriving despite a boycott of the country be neighboring nations, including Saudi Arabia. The country is expected to post GDP growth of 2.9% this year, the best among Gulf Cooperation Council (GCC) nations. QAT, which tracks the MSCI All Qatar Capped Index, holds just 27, over 51% of which hail from the financial services sector. Article printed from InvestorPlace Media, https://investorplace.com/2018/09/7-benchmark-clobbering-etfs-to-buy/.